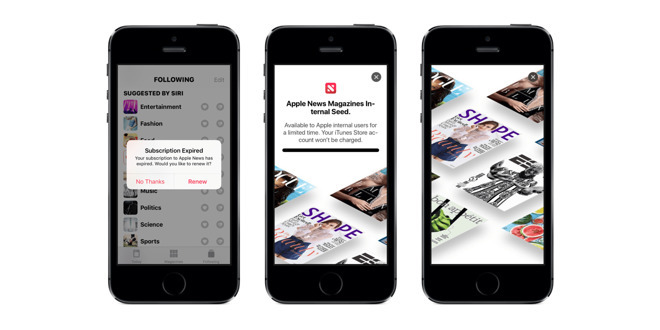 The paid version of Apple News, possibly named Apple News Magazines, will reportedly cost $10 per month — but major publishers are said to be rejecting Apple's terms, or already making plans to leave. Most of the publications lined up are under contract because of existing deals through Texture, a magazine service Apple acquired a year ago, Business Insider sources explained. Some examples include Conde Nast's Wired and The New Yorker, Meredith's People, and Hearst's Men's Health and Cosmopolitan. Texture was owned by those publishers, as well as Rogers Media and KKR. The New Yorker will be allowed to leave at some point because of its existing subscription business, one source said. And while the Wall Street Journal is said to be in "productive talks" with Apple, seeing Apple News as a way of reaching a bigger audience, the New York Times and Washington Post have yet to join even with Apple's March 25 reveal around the corner. Apple is allegedly pointing to Apple Music as an example of how it can build a successful subscription business, but is encountering resistance for several reasons, among them the view that newspapers and magazines are inherently different from music — a person who reads Scientific American may be unlikely to care about an all-you-can-eat subscription that includes People and vice versa. Similarly, publishers are said to see Apple News as something people read briefly when they have a few minutes to spare, rather than a place for top-shelf paid content. Apple is moreover said to be demanding 50 percent of revenue, the rest being split among every publisher. That's a hard sell given that the Post alone charges $10 per month, the Times $15, and the Journal $39. The company's pitch as a savior from Google and Facebook is thus "tone deaf, big time," one executive commented. Other industry concerns are said to include Android support, a lack of customer data, marketing visibility, and what will happen to individual subscriptions already in place through Apple News, since publishers get to keep 70 to 85 percent of revenue through that channel. Publishers have mused however that they might benefit if Apple News is rolled into a broader Amazon Prime-style bundle, and that some publications, like the Wall Street Journal, may have nothing to lose — Apple News users are purportedly seen as "older, Middle America women" for the most part. Since Apple is requiring full print editions to be made available online, publications can also count News subscribers towards print circulation, increasing the value of advertising. The company is further said to be permitting bonus paywall content. 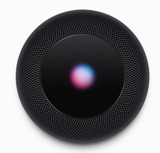 AppleInsider will be live from the March 25 press event, which begins at 10 a.m. Pacific time, 1 p.m. Eastern. The focus will likely be less on Apple News than an upcoming video service with over $1 billion in original content.